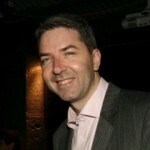 News > Telecom Group > Can Colocation and Cloud Co-exist? Can Colocation and Cloud Co-exist? Colocation has been an option for the efficient and reliable running of computing environments for nearly 40 years. This enables organisations with these needs the ability to operate their environments in professional third party data centres without the necessity and expense of building their own. They can take just what they need, and pay for the power they consume, then scale up and down as needed. Sounds a lot like Cloud right? Indeed it is, just on a less dynamic scale, and using physical, not logical resources that take days or weeks to deploy, not seconds. With the recent increase in the popularity of cheap and convenient Cloud services, the question can now be raised about the viability of colocation moving forwards. When to use Colocation? When to use Cloud? Are the applications needing hosting long-term, permanent production apps? Are you comfortable using capex spend? Is the hardware needed something special? If the answer to the questions above is yes,yes,yes – colocation is likely to be the right option. Otherwise some form of Cloud may well suit. But what if you need both? Macquarie Telecom defines hybrid hosting as one provider connecting on-site IT services and equipment to colocation, dedicated servers and business-class cloud computing. With the adoption of hybrid hosting, companies can move safely to cloud computing without the security risk of the public cloud. Hybrid hosting combines the best qualities of colocation and cloud computing services while offering cost reductions through the reduction of on-site company-owned computer equipment and labour hours managing the minutiae of day-to-day IT maintenance. The goal to be achieved for each workload (application) type is to find the right levels of availability and performance for each application, for the lowest total cost. Different hosted models are strong in different areas, so you need to find the best match. Best used for applications that are ultra sensitive in terms of data security, or performance for staff located in the same premises, or where there has been a recent large spend on internal equipment. This assumes a high quality on-premise data centre is in place offering redundant power, cooling, fire protection and physical security. If not, select from one of the other options. Ideal for customers who own their equipment, and who need high availability applications, but do not have a resilient on-premise data centre. Take as little as ½ a rack and scale up as you need. Pay just for the volume of power and space you need. Take advantage of multiple data centres to build in Business Continuity (BC) solutions for data and application redundancy. Good for workloads that have long lifecycles, don’t change often, and are always on, so you get the best return on your capital investment in technology. Best for customers who no longer want to buy, house, maintain and operate their own compute, storage and networking hardware. Access dedicated computing resources (not shared with other customers) that are owned and operated by the Cloud vendor. These resources will help guarantee performance and security, as no one else is sharing them. Scale up and down as needed and pay just for what you need. Optional management services will be available from some service providers. Choose a Cloud that runs the same hypervisor as your in-house IT to ensure simple, low-risk and low-cost migration and interoperability. Best for applications requiring low cost, lower performance computing, that is shared with other customers. Good for web applications, or bursty applications. Public clouds can be relatively cheap if not used 24/7, but no less expensive that a Virtual Private Cloud if used full time. Some security concerns remain with Private Cloud. It is not only possible for colocation and cloud to co-exist, but this Hybrid model will in fact be the norm for the next 3-5 years and companies start the migration to Cloud. 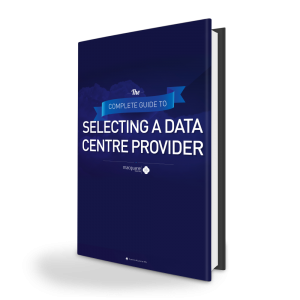 Find a service provider that can offer all options in their own data centres, including the network connection from your own data centre to theirs. In this way you avoid the unnecessary complications of dealing with more than one vendor, more than one Service Level Agreement, more than one pricing system and more than one contract. For advice on how to start the journey to the cloud for business contact Macquarie Telecom on 1800 004 943 or submit an online enquiry today.